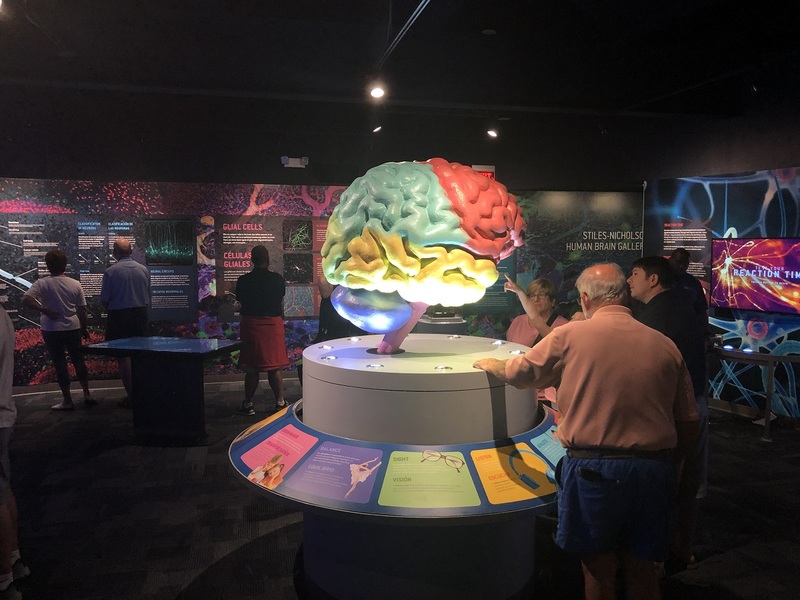 “The most advanced exhibit on the human brain anywhere in the world.” That’s how the director – Lew Crampton – of the South Florida Science Center described a brand-new exhibit called Journey Through the Human Brain. 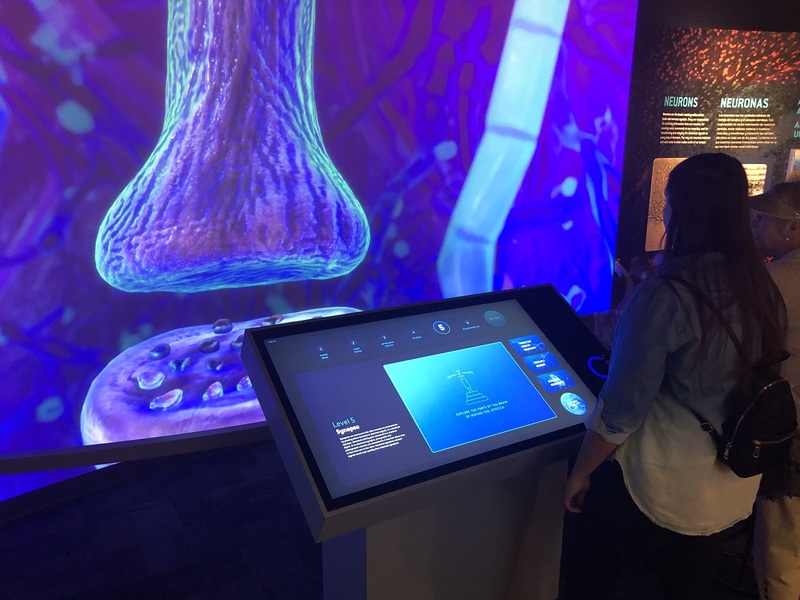 This 2,500 square foot exhibit showcases everything “brain” with a series of high-tech displays, immersive experiences, and state-of-the-art interactives. 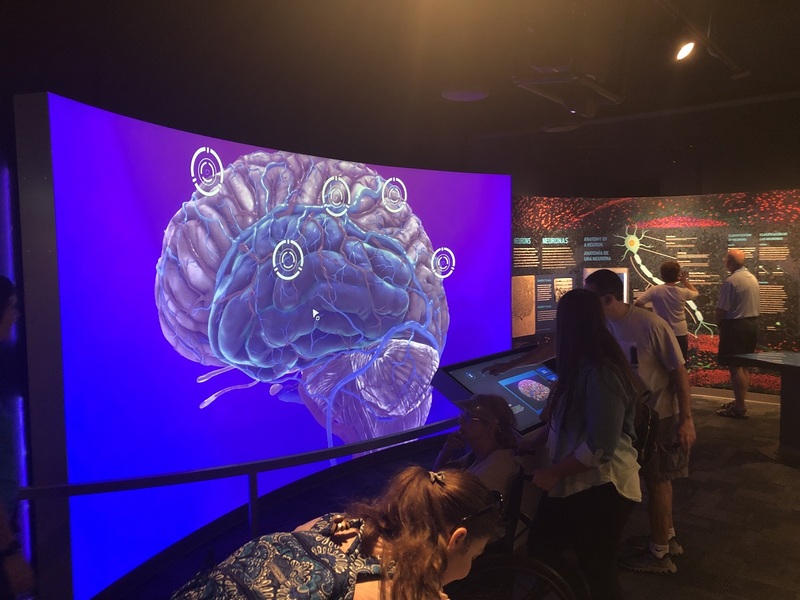 According to the Science Center the exhibit takes a bottom-up approach to telling the story of the human brain, from the molecular level to the integrated circuitry that reveals how the brain informs our senses, creates our thoughts and emotions, and ultimately evolved into the most complex structure in the universe. If it sounds kind of technical, don’t worry. 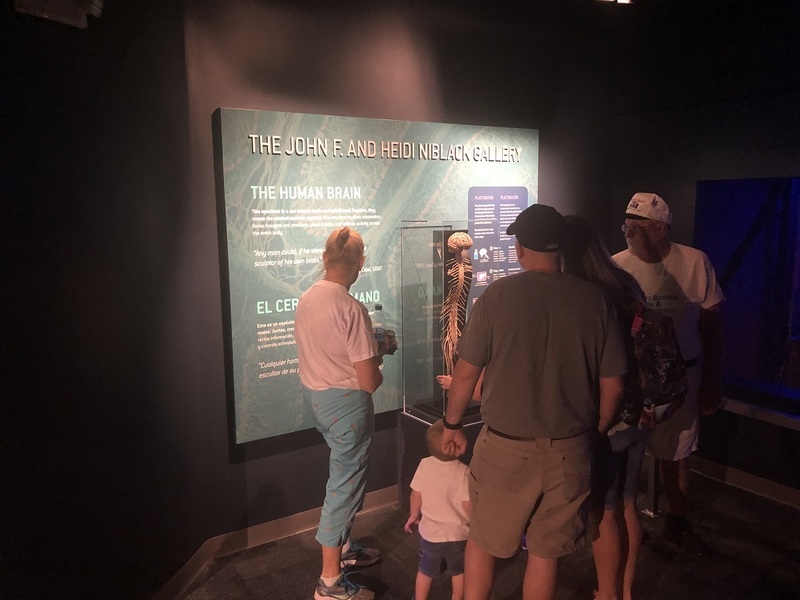 There’s plenty of fun stuff including a chance to try to activate a prosthetic arm with your mind and a “lie to me gallery” where you can try to figure out if you friend is fibbing. What was Art Guild’s role? Coordinating with lead designer – Anthony Lualdi Design – and a number of other institutions including The Franklin Institute – we were the lead fabricator on the project working on 26 different exhibits including a large-scale 3-D model of the brain and hands-on interactives that allow visitors to explore the five major senses. 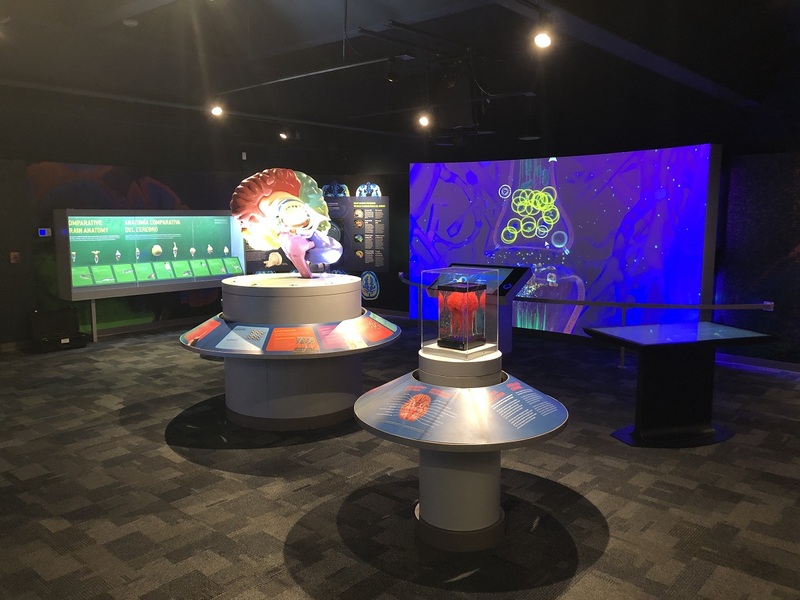 As usual our work covered everything including custom cabinetry, casework, railings, graphics, scenic elements, and both electromechanical and digital interactive exhibits. 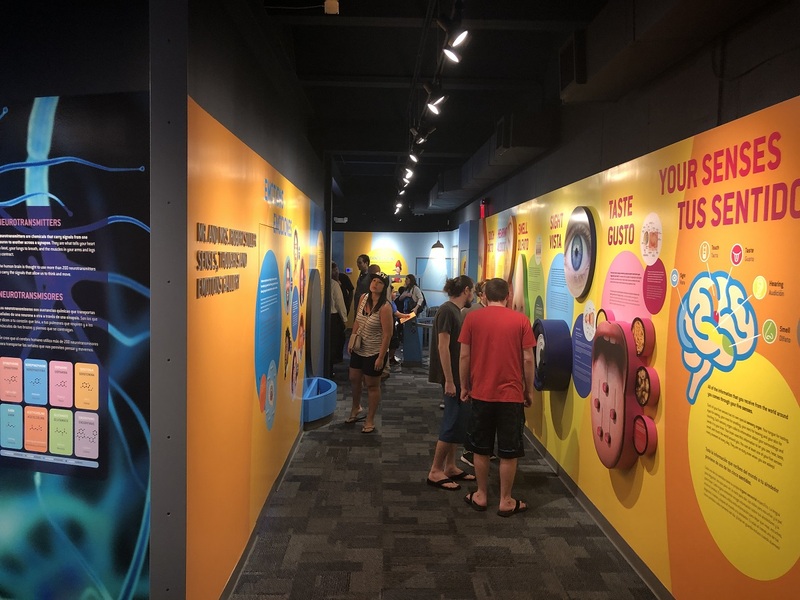 See a video from local news station WPBF covering the exhibit’s opening here.